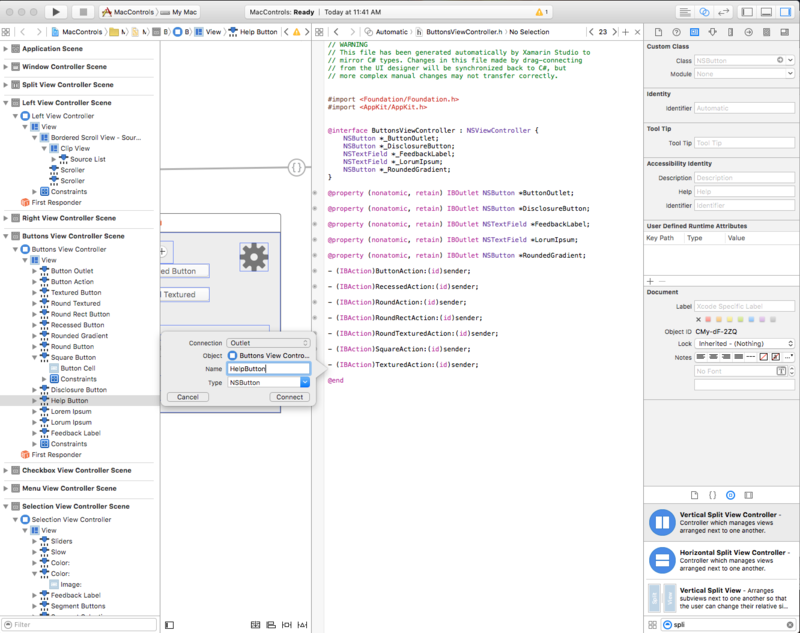 This article covers working with the standard AppKit controls such as buttons, labels, text fields, check boxes, and segmented controls in a Xamarin.Mac application. It describes adding them to an interface with Interface Builder and interacting with them in code. When working with C# and .NET in a Xamarin.Mac application, you have access to the same AppKit Controls that a developer working in Objective-C and Xcode does. 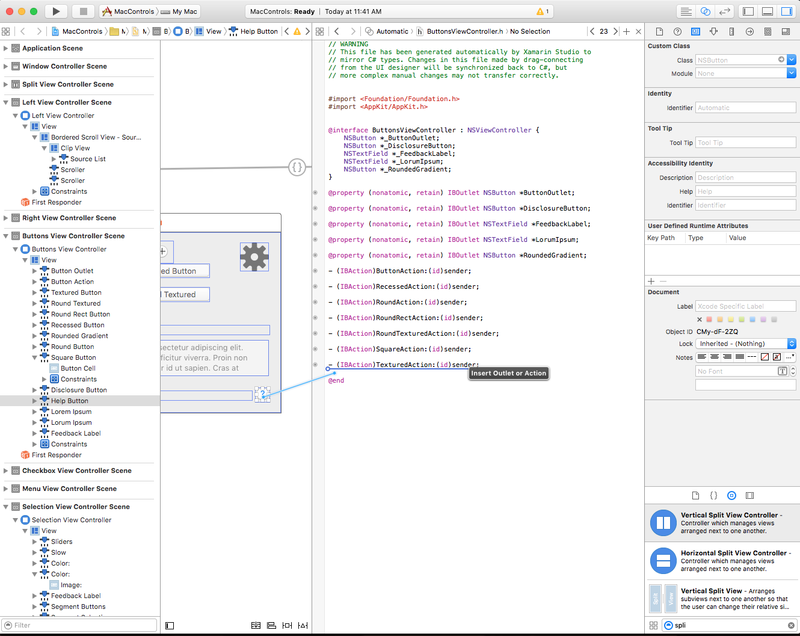 Because Xamarin.Mac integrates directly with Xcode, you can use Xcode's Interface Builder to create and maintain your Appkit Controls (or optionally create them directly in C# code). 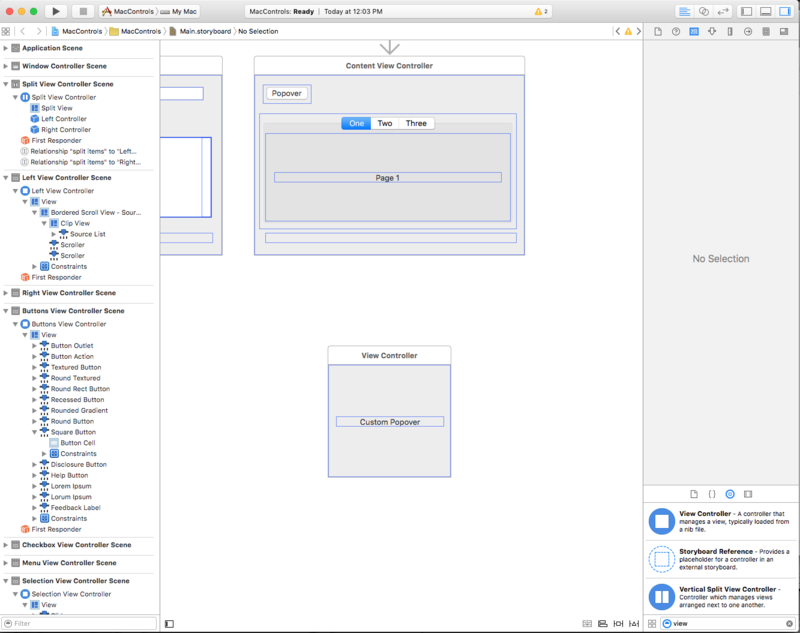 AppKit Controls are the UI Elements that are used to create the User Interface of your Xamarin.Mac application. They consist of elements such as Buttons, Labels, Text Fields, Check Boxes and Segmented Controls and cause instant actions or visible results when a user manipulates them. In this article, we'll cover the basics of working with AppKit Controls in a Xamarin.Mac application. It is highly suggested that you work through the Hello, Mac article first, specifically the Introduction to Xcode and Interface Builder and Outlets and Actions sections, as it covers key concepts and techniques that we'll be using in this article. You may want to take a look at the Exposing C# classes / methods to Objective-C section of the Xamarin.Mac Internals document as well, it explains the Register and Export commands used to wire-up your C# classes to Objective-C objects and UI Elements. macOS (formerly known as Mac OS X) provides a standard set of User Interface controls via the AppKit Framework. They consist of elements such as Buttons, Labels, Text Fields, Check Boxes and Segmented Controls and cause instant actions or visible results when a user manipulates them. All of the AppKit Controls have a standard, built-in appearance that will be appropriate for most uses, some specify an alternate appearance for use in a window frame area or in a Vibrance Effect context, such as in a Sidebar area or in a Notification Center widget. Avoid mixing control sizes in the same view. In general, avoid resizing controls vertically. Use the system font and the proper text size within a control. Use the proper spacing between controls. 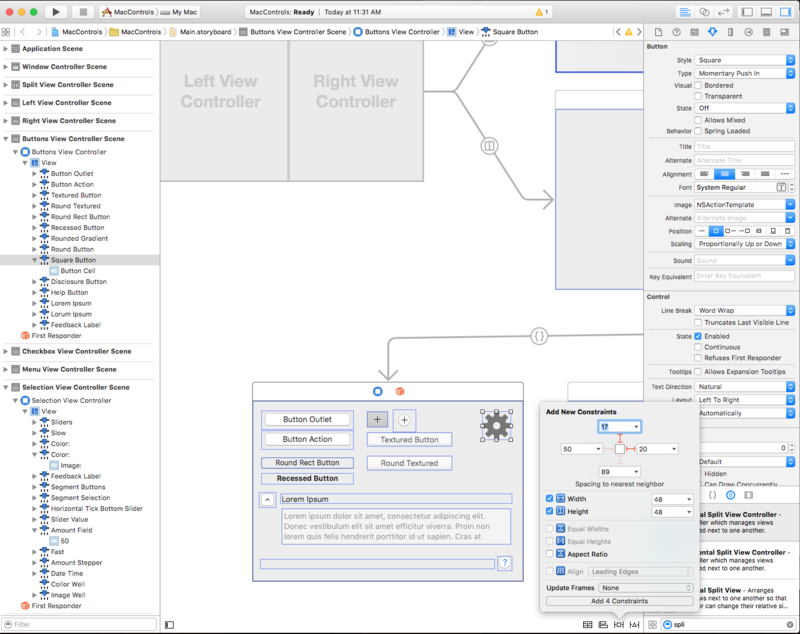 For more information, pleas see the About Controls and Views section of Apple's OS X Human Interface Guidelines. Round Textured Button - A NSButton with a style of NSTexturedRoundedBezelStyle. 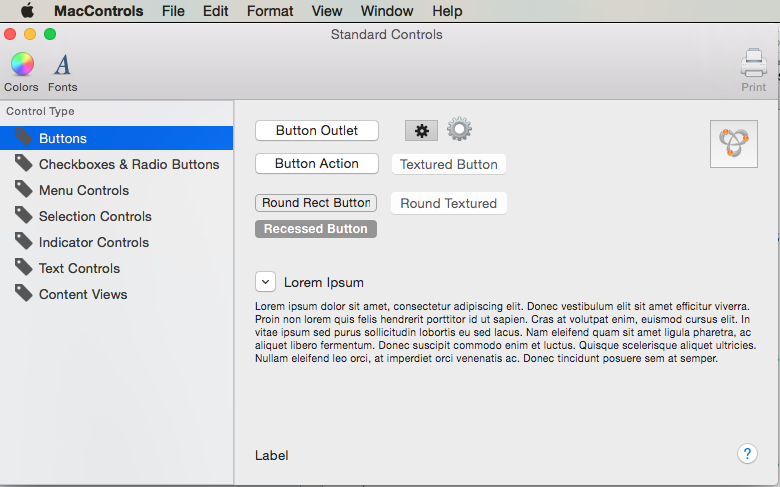 Textured Rounded Segmented Control - A NSSegmentedControl with a style of NSSegmentStyleTexturedRounded. Textured Rounded Segmented Control - A NSSegmentedControl with a style of NSSegmentStyleSeparated. Round Textured Pop-Up Menu - A NSPopUpButton with a style of NSTexturedRoundedBezelStyle. Round Textured Drop-Down Menu - A NSPopUpButton with a style of NSTexturedRoundedBezelStyle. Search Bar - A NSSearchField. Don’t use Window Frame specific control styles in the Window Body. Don’t use Window Body controls or styles in the Window Frame. 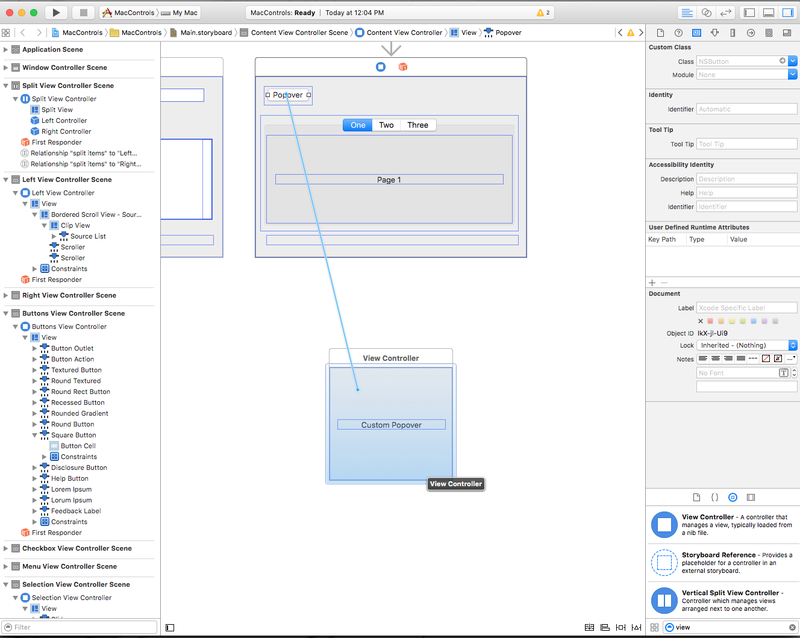 For more information on creating a User Interface in Interface Builder, please see our Introduction to Xcode and Interface Builder documentation. Specifies that the selected control (in the Hierarchy View & Interface Editor) will be stuck to the top and right location of the Window or View as it is resized or moved. Unlike iOS where (0,0) is the upper left hand corner of the screen, in macOS (0,0) is the lower left hand corner. This is because macOS uses a mathematical coordinate system with the number values increasing in value upward and to the right. You need to take this into consideration when placing AppKit controls on a User Interface. 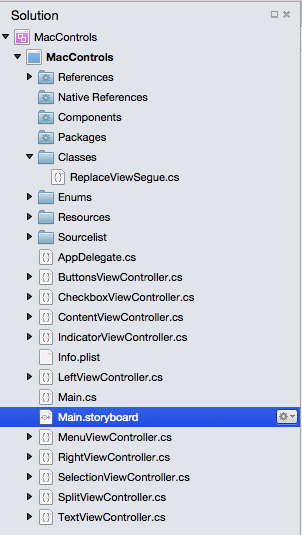 Where the [Register("SourceListView")] instruction exposes the SourceListView class to Objective-C so that is can be used in Interface Builder. For more information, please see the Exposing C# classes / methods to Objective-C section of the Xamarin.Mac Internals document, it explains the Register and Export commands used to wire-up your C# classes to Objective-C objects and UI Elements. For more information on working with Outlets and Actions, please see the Outlets and Actions section of our Introduction to Xcode and Interface Builder documentation. 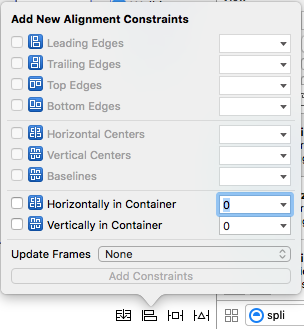 When you switch back to Visual Studio for Mac from Xcode, any changes that you have made in Xcode will automatically be synchronized with your Xamarin.Mac project. As you can see, Visual Studio for Mac listens for changes to the .h file, and then automatically synchronizes those changes in the respective .designer.cs file to expose them to your application. 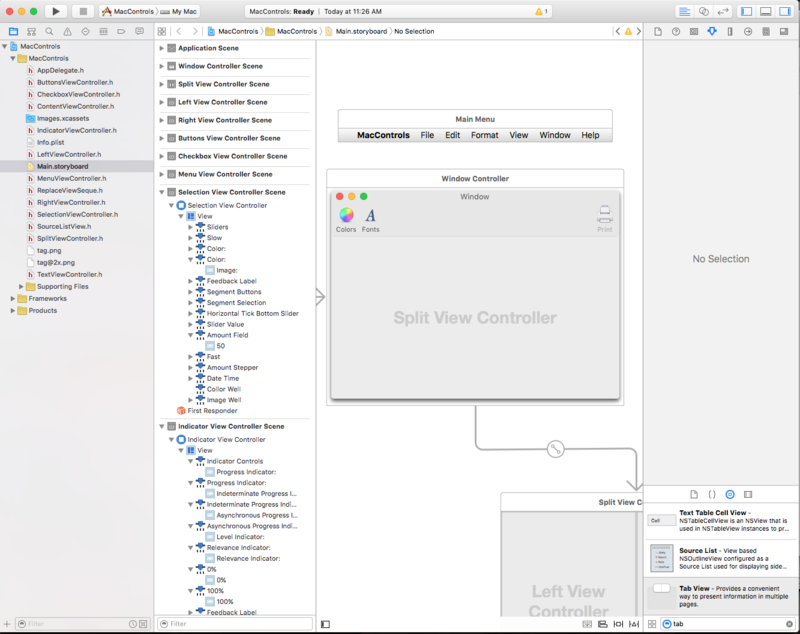 You may also notice that SplitViewController.designer.cs is a partial class, so that Visual Studio for Mac doesn't have to modify SplitViewController.cs which would overwrite any changes that we have made to the class. You normally will never need to open the SplitViewController.designer.cs yourself, it was presented here for educational purposes only. 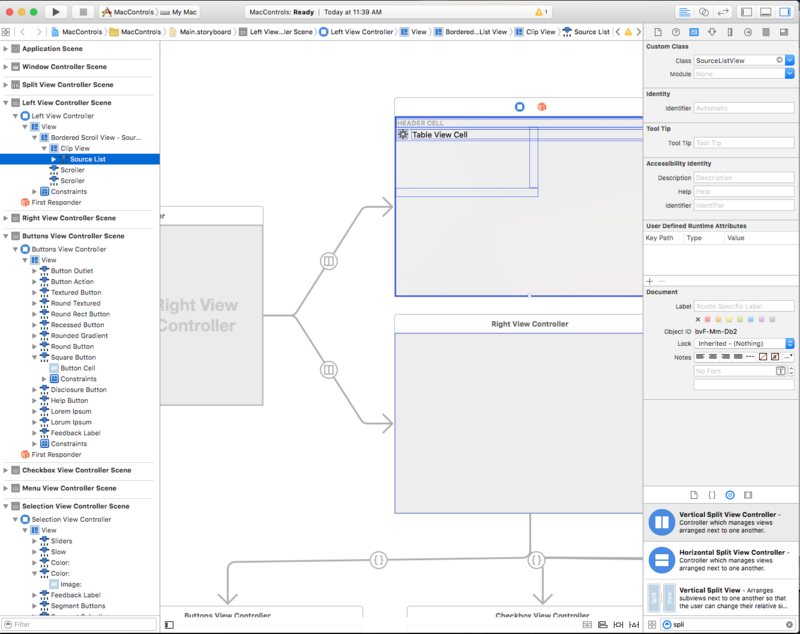 In most situations, Visual Studio for Mac will automatically see any changes made in Xcode and sync them to your Xamarin.Mac project. In the off occurrence that synchronization doesn't automatically happen, switch back to Xcode and them back to Visual Studio for Mac again. This will normally kick off a synchronization cycle. AppKit provides several types of button that can be used in your User Interface Design. For more information, please see the Buttons section of Apple's OS X Human Interface Guidelines. On - The button is pushed or the control is selected (such as a check in a Check Box). Off - The button is not pushed or the control is not selected. Mixed - A mixture of On and Off states. For any button that you have added to a user interface design, you can mark that button as the Default button that will be activated when the user presses the Return/Enter key on the keyboard. In macOS, this button will receive a blue background color by default. Equally, you can assign any key sequence that can be used to activate the button using the keyboard instead of the mouse. For example, by pressing the Command-C keys in the image above. When the app is run and the Window with the Button is Key and Focused, if the user presses Command-C, the Action for the button will be activated (as-if the user had clicked on the button). AppKit provides several types of Checkboxes and Radio Button Groups that can be used in your User Interface Design. 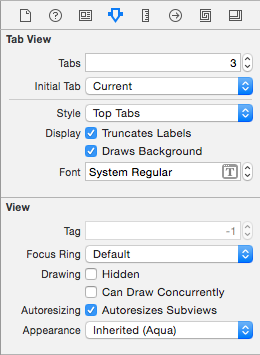 For more information, please see the Buttons section of Apple's OS X Human Interface Guidelines. You can use the Tag property to see which radio button was selected. 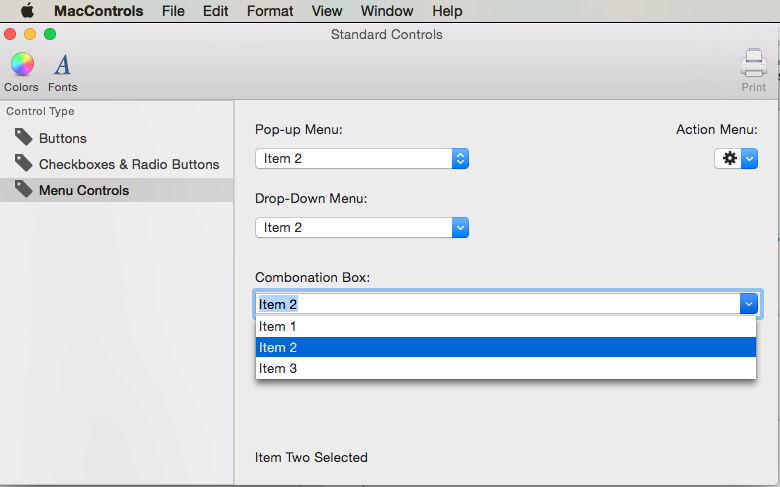 AppKit provides several types of Menu Controls that can be used in your User Interface Design. For more information, please see the Menu Controls section of Apple's OS X Human Interface Guidelines. 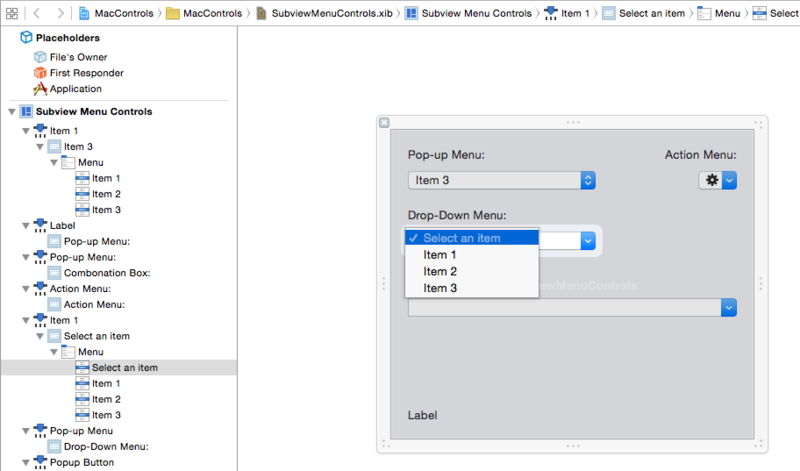 The Menu Controls available to macOS can be set to populate the dropdown list either from an internal list (that can be pre-defined in Interface Builder or populated via code) or by providing your own custom, external data source. Add - Adds a new item to the end of the list. GetItem - Returns the item at the given index. Insert - Inserts a new item in the list at the given location. IndexOf - Returns the index of the given item. Remove - Removes the given item from the list. RemoveAll - Removes all items from the list. RemoveAt - Removes the item at the given index. Count - Returns the number of items in the list. If you are using an Extern Data Source (UsesDataSource = true), calling any of the above methods will throw an exception. Instead of using the built-in Internal Data to provide the rows for your Menu Control, you can optionally use an External Data Source and provide your own backing store for the items (such as a SQLite database). ItemCount - Returns the number of items in the list. ObjectValueForItem - Returns the value of the item for a given index. IndexOfItem - Returns the index for the give item value. CompletedString - Returns the first matching item value for the partially typed item value. This method is only called if Autocomplete has been enabled (Completes = true). Please see the Databases and ComboBoxes section of the Working with Databases document for more details. HasVerticalScroller - If true, the control will display a vertical scrollbar. VisibleItems - Adjust the number of items displayed when the control is opened. The default value is five (5). 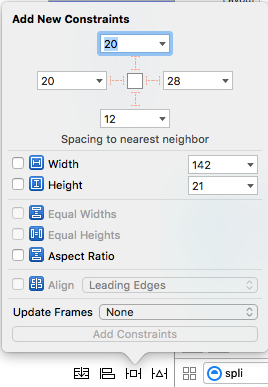 IntercellSpacing - Adjust the amount of space around a given item by providing a NSSize where the Width specifies the left and right margins and the Height specifies the space before and after an item. ItemHeight - Specifies the height of each item in the list. SelectItem - Selects the item at the given index. Select - Select the given item value. DeselectItem - Deselects the item at the given index. SelectedIndex - Returns the index of the currently selected item. SelectedValue - Returns the value of the currently selected item. Use the ScrollItemAtIndexToTop to present the item at the given index at the top of the list and the ScrollItemAtIndexToVisible to scroll to list until the item at the given index is visible. SelectionChanged - Is called when the user has selected a value from the list. SelectionIsChanging - Is called before the new user selected item becomes the active selection. WillPopup - Is called before the dropdown list of items is displayed. WillDismiss - Is called before the dropdown list of items is closed. For NSComboBox controls, they include all of the same events as the NSTextField, such as the Changed event that is called whenever the user edits the value of the text in the Combo Box. For more information on working with Menus and Menu Controls, please see our Menus and Pop-up Button and Pull-Down Lists documentation. AppKit provides several types of Selection Controls that can be used in your User Interface Design. For more information, please see the Selection Controls section of Apple's OS X Human Interface Guidelines. DateValue - The current date and time value as a NSDate. Local - The user's location as a NSLocal. TimeInterval - The time value as a Double. TimeZone - The user's time zone as a NSTimeZone. 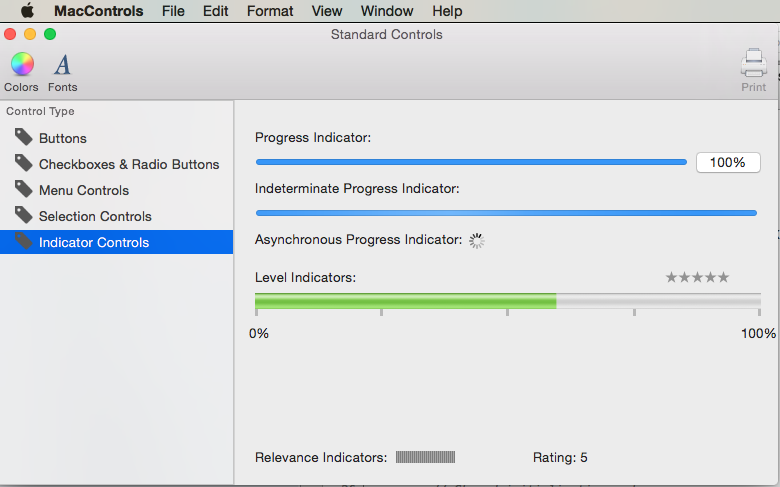 AppKit provides several types of Indicator Controls that can be used in your User Interface Design. 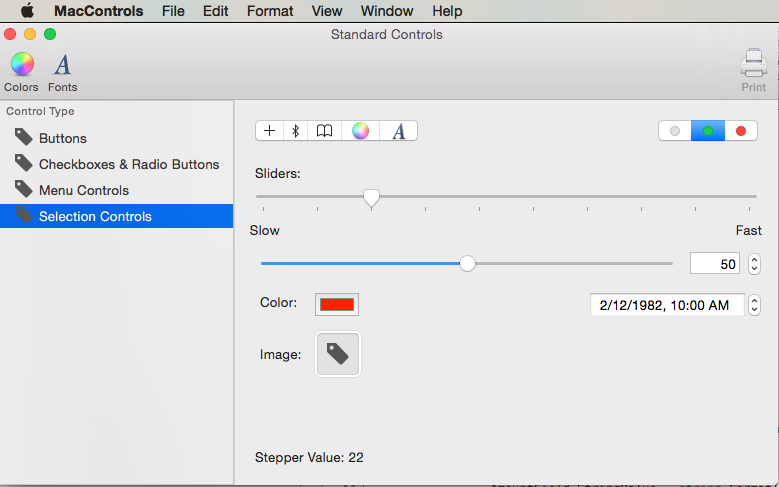 For more information, please see the Indicator Controls section of Apple's OS X Human Interface Guidelines. Calling the StopAnimation method will stop the animation. AppKit provides several types of Text Controls that can be used in your User Interface Design. For more information, please see the Text Controls section of Apple's OS X Human Interface Guidelines. Changed - Is fired any time the user changes the value of the field. For example, on every character typed. EditingBegan - Is fired when the user selects the field for editing. EditingEnded - When the user presses the Enter key in the field or leaves the field. An NSTextView provides a full featured text edit and display area with built-in formatting. 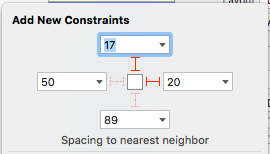 Like a NSTextField, use the StringValue property to read or set the area's value. For an example of a complex example of working with Text Views in a Xamarin.Mac app, please see the SourceWriter Sample App. SourceWriter is a simple source code editor that provides support for code completion and simple syntax highlighting. The SourceWriter code has been fully commented and, where available, links have be provided from key technologies or methods to relevant information in the Xamarin.Mac Guides Documentation. AppKit provides several types of Content Views that can be used in your User Interface Design. For more information, please see the Content Views section of Apple's OS X Human Interface Guidelines. 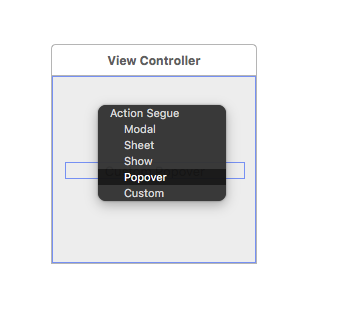 A popover is a transient UI element that provides functionality that is directly related to a specific a control or an onscreen area. 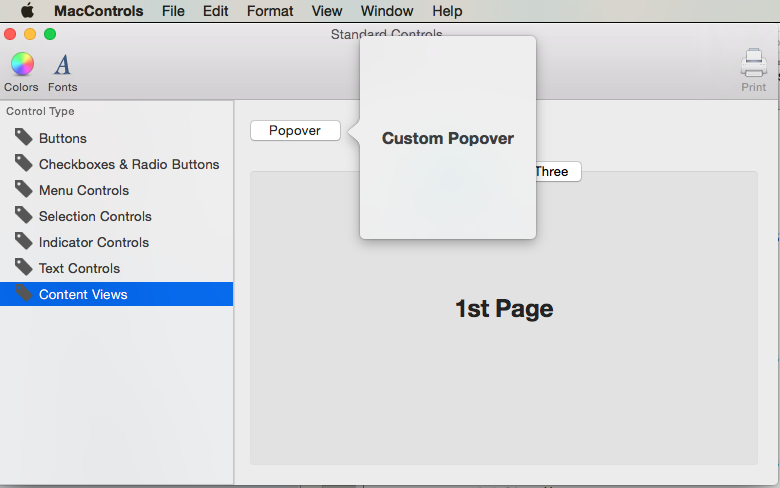 A popover floats above the window that contains the control or area that it’s related to, and its border includes an arrow to indicate the point from which it emerged. 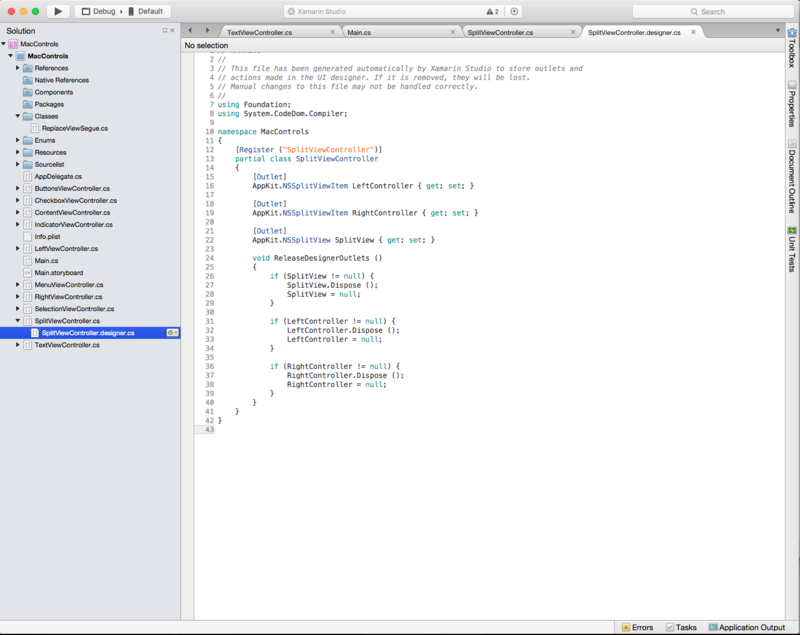 Save your changes and return to Visual Studio for Mac to sync with Xcode. Tab Views consists of a Tab List (which looks similar to a Segmented Control) combined with a set of views that are called Panes. When the user selects a new Tab, the Pane that is attached to it will be displayed. Each Pane contains its own set of controls. By using Key-Value Coding and Data Binding techniques in your Xamarin.Mac application, you can greatly decrease the amount of code that you have to write and maintain to populate and work with UI elements. You also have the benefit of further decoupling your backing data (Data Model) from your front end User Interface (Model-View-Controller), leading to easier to maintain, more flexible application design. Key-Value Coding (KVC) is a mechanism for accessing an object’s properties indirectly, using keys (specially formatted strings) to identify properties instead of accessing them through instance variables or accessor methods (get/set). By implementing Key-Value Coding compliant accessors in your Xamarin.Mac application, you gain access to other macOS features such as Key-Value Observing (KVO), Data Binding, Core Data, Cocoa bindings, and scriptability. For more information, please see the Simple Data Binding section of our Data Binding and Key-Value Coding documentation. 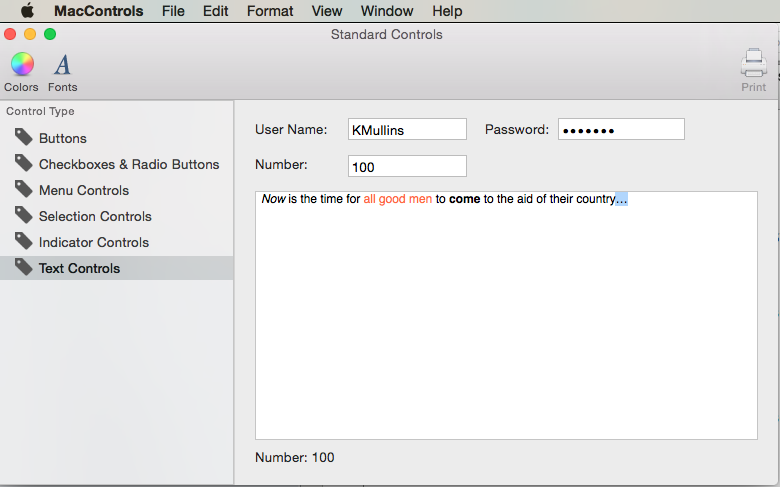 This article has taken a detailed look at working with the standard AppKit controls such as Buttons, Labels, Text Fields, Check Boxes and Segmented Controls in a Xamarin.Mac application. 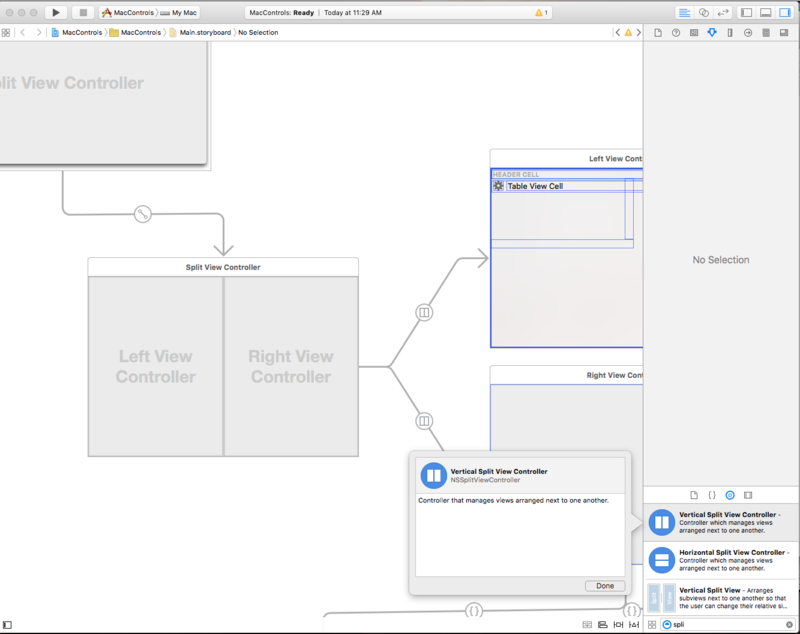 It covered adding them to a User Interface Design in Xcode's Interface Builder, exposing them to code through Outlets and Actions and working with AppKit Controls in C# Code.